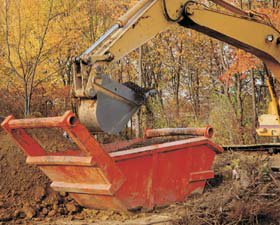 Kundel’s unique design was introduced in 1989 to consolidate material for better bucket fill and less motion or lost time. 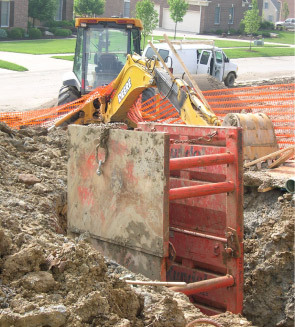 A wide mouth accommodates easy bucket access and machine alignment. Walk bar and drag bars are standard. Sizes: 2cy to 25cy. Special needs available.